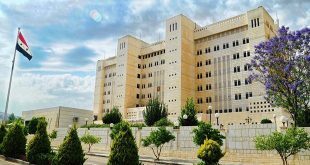 Damascus, SANA- Speaker of the People’s Assembly Hamoudeh Sabbagh said that the confrontation of Zionist and the US-backed terrorism has moved to a qualitative stage in the course of the historical confrontation between Syria, which is the leader of Arabism, and the reactionary hostile forces. 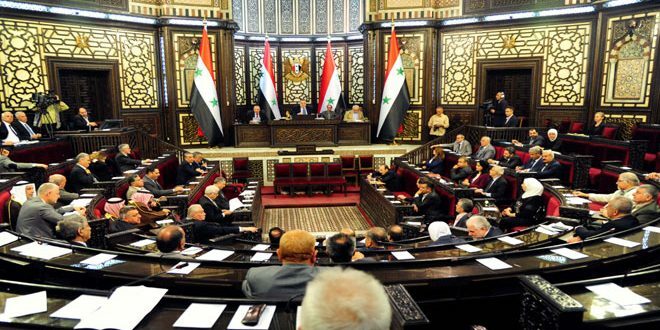 Sabbagh’s remarks came during the fourth session of the seventh regular round of the People Assembly on Thursday. 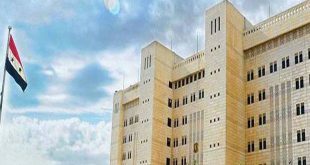 Sabbagh said that every time the Syrian Arab Army, in cooperation with supporting and allies forces, achieves a victory against the terrorist organizations, the Israeli entity launches attacks on Syria. 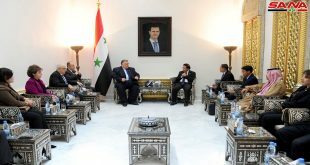 He pointed out that the Israeli aggression which targeted Syria on Thursday confirms the strong alliance between Israel and the terrorists. At Thursday night, The Syrian Arab Army’s air defenses repelled an Israeli missile aggression on Syrian territories, shooting down scores of missiles.